Joe Roman is a conservation biologist, author, and fellow in the Gund Institute. His broad research interests span endangered species policy, marine mammals, invasive species, and biodiversity and human health. Joe teaches marine ecology and conservation and graduate workshops (ateliers) on emerging problems of conservation interest, such as marine spatial planning and Cuban marine ecology. Joe came to the Gund Institute for Environment as an Environmental Policy Fellow with the American Association for the Advancement of Science. During his AAAS fellowship, he helped start an interdisciplinary program on Biodiversity and Human Health at the US Environmental Protection Agency. Joe has been a Fulbright Scholar in Brazil, a McCurdy Scholar at the Duke University Marine Lab, and a Hrdy Visiting Fellow at Harvard University. 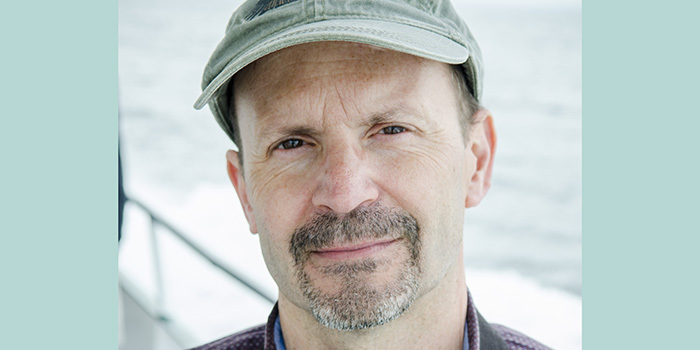 Joe is the author of Listed: Dispatches from America's Endangered Species Act (Harvard University Press, 2011), the recipient of the Rachel Carson Environment Book Award; and Whale (Reaktion 2006), a cultural history of whales and whaling. His science and nature writing has appeared in The New York Times, New Scientist, Audubon, Conservation, among other journals. His research has been covered by the Associated Press, National Public Radio, The New Yorker, The New York Times, The Wall Street Journal, The Washington Post, and other outlets. Joe is the editor ’n’ chef of Eat the Invaders. Bainbridge, M., L. Saldinger, J. Barlow, J. Alvez, J. Roman, and J. Kraft. 2018. Alteration of rumen bacteria and protozoa through grazing regime as a tool to enhance the bioactive fatty acid content of bovine milk. Frontiers in Microbiology. 9: 904. Galford, G. L., M. Fernandez, J. Roman, I. Monasterolo, S. Ahmed, G. Fiske, P. González-Díaz, and L. Kaufman. 2018. Cuban land use and conservation, from rainforests to coral reefs. Bulletin of Marine Science. 94: 171-192. Roman, J. 2018. The ecology and conservation of Cuba’s coastal and marine ecosystems. Bulletin of Marine Science. 94: 149-170. Roman, J., V. DeLauer, I. Altman, B. Fisher, R. Boumans, L. Kaufman. 2018. Stranded capital: Environmental stewardship is part of the economy, too. Frontiers in Ecology and the Environment. 16: 169-175. Roman, J., and Y.-W. Li. 2018. Vulnerable species in the crosshairs, with Ya-Wei Li, The New York Times, July 26. Roman, J., and J. Kraska. 2016. Reboot Gitmo for U.S.-Cuba research diplomacy. Science 351: 1258-1260. Doughty, C. E., J. Roman, S. Faurby, A. Wolf, A. Haque, E. S. Bakker, Y. Malhi, J. B. Dunning Jr., and J.-C. Svenning. 2015. Global nutrient transfer in a world of giants. Proceedings of the National Academy of Sciences 113: 868-873. Roman, J., M. Dunphy-Daly, D. W. Johnston, and A. J. Read. 2015. Lifting baselines to address the consequences of conservation success. Trends in Ecology and Evolution 30: 299-302. Roman, J., J. Estes, L. Morrisette, C. Smith, D. Costa, J. McCarthy, J. B. Nation, S. Nicol, A. Pershing, and V. Smetacek. 2014. Whales as marine ecosystem engineers. Frontiers in Ecology and the Environment 12:377-385.